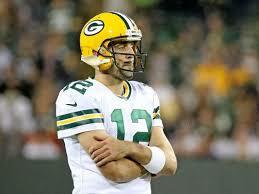 Aaron Rodgers is the best player on the Green Bay Packers, but he isn’t the Green Bay Packers. That’s something everyone needs to remember as the two sides engage in contract negotiations. The future Hall of Fame quarterback has every right to demand the world. And the iconic franchise has every right to just say no. It’s a given the Packers will offer an extension that would make Rodgers the highest-paid player in the history of National Football League. And he deserves that. The two-time MVP has been able to overcome questionable personnel and coaching decisions for the past seven years and still lead his team to six playoff appearances and two trips to the NFC Championship game. But what Rodgers doesn’t deserve is a contract that ensures his place atop the pay scale long after the ink is dry. And, at least according to multiple reports, that’s exactly what he wants. “There are a lot of rumblings going around that this deal is going to have voids and player options and percentages and all kinds of things to make sure he is able to keep up with the market,” a well-known agent with multiple quarterback clients told beat writer Tom Silverstein of the Milwaukee Journal Sentinel. 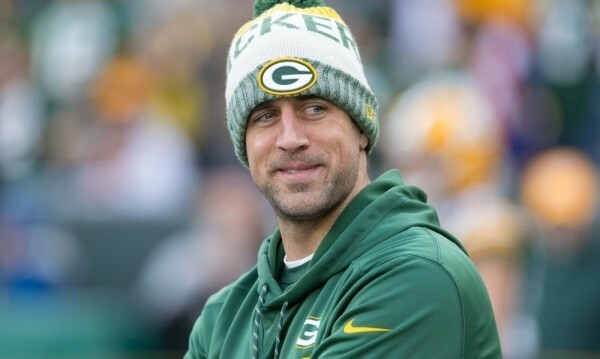 ESPN’s Jason Wilde, who hosted a radio show with Rodgers and knows him as well as anyone in the media, has suggested numerous times that the 34-year-old wants to do something “different” in what could be his final contract. A fully guaranteed deal would no longer be “different” thanks to the Vikings and Kirk Cousins, but a contract with mechanisms included to ensure that Rodgers remains the league’s highest-paid player would certainly be the epitome of the word. It would also be a very bad idea for the Packers. As great as Rodgers is – and you can make a strong argument that he’s among the very best of all-time – he’s also turning 35 in December and coming off an injury that left two plates and 13 screws in his throwing shoulder. He now has more bling on the inside of his body than rapper Flavor Flav has around his neck. If Rodgers is being reasonable, he’ll agree to a three-year extension worth a fully guaranteed $90 million in the next few months. That would make him the highest-paid player in the league. And while it may not last for long, so what? That’s the way it goes. It’s simply not reasonable to expect a deal signed in 2018 to still be the best in the sport in 2020. And if that’s what Rodgers is truly demanding, then he’s simply being greedy. So what could the Packers do if Rodgers insists on such a groundbreaking contract? They could do absolutely nothing. Remember, he’s signed through the 2019 season. They could make him play out his deal and then go from there. And if he’s still playing at a high level at age 37, the franchise tag would assure keeping him around for another year. The point is, the Packers don’t have to cave to Rodgers’ demands. Would not giving in to Rodgers cause hard fillings? Maybe, but that’s life. Is there a possibility he could hold out? Maybe, but that’s highly unlikely. Professional athletes typically aren’t willing to sacrifice a season of their careers – not to mention the money (which would be over $20 million in Rodgers’ case). So he’s going to play football in 2018 regardless of whether or not he signs an extension in the next few months. What do I think will happen? 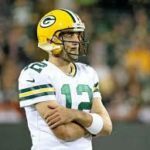 I think the Packers will eventually give Rodgers exactly what he wants. It’s hard to imagine team president and CEO Mark Murphy, who showed his lack of spine during the Summer of Favre in 2008, allowing GM Brian Gutekunst and VP of Football Operations Russ Ball to take a hard-line stand against the most popular person in the state of Wisconsin. And if that indeed happens, it would be unfortunate. Tom Brady, who’s won five Super Bowls and is generally regarded as the GOAT (greatest of all-time), takes less money to help his team win. And while nobody expects Rodgers to do the same, being the highest-paid player right now should be enough. If it’s not, the Packers need to walk away from the negotiating table. They need to remember it’s the Green Bay Packers and not Aaron Rodgers featuring the Green Bay Packers.